Porsche factory driver Michael Christensen (Denmark) came into Rounds 5 and 6 of the Pirelli World Challenge (PWC) SprintX Championship at Lime Rock Park closing-in on his first victory in North America’s premier sprint-format GT car racing series. Teamed with co-driver Spencer Pumpelly (Atlanta, Georgia) in the No. 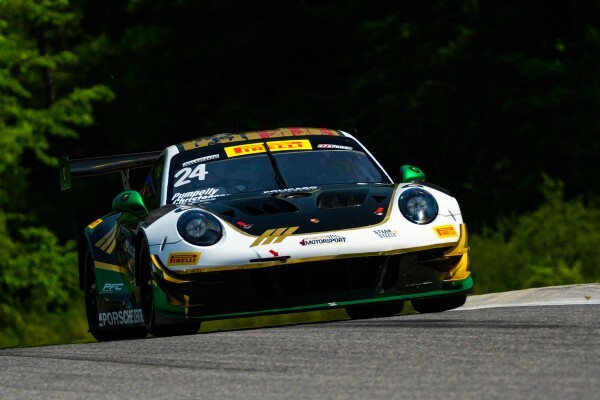 24 Alegra Motorsports Porsche 911 GT3 R, the Dane broke into the winners’ column in Race 1 at the Lakeville, Connecticut-track earning not only his first series win but also the first for the Carlos de Quesada-owned team in the PWC. The pair followed with a third-place in Race 2. Canada’s Scott Hargrove continued to keep the pressure on the GT class championship leader with a third-place and a fourth-place finish, respectively, in the two, 60-minute races co-driving the No. 96 Pfaff Motorsports 911 GT3 R with Wolf Henzler (Germany). With a quiet day at Lime Rock Park on Sunday, both of the races were contested Monday, May 28 on the 1.5-mile, seven-turn road course road course in the Northeast. With two of the more savvy drives in the field, the Tampa, Florida-based Alegra team played a daring strategy in Race 1. They pushed their mandatory driver and tire change as late in the ten-minute pit stop window as possible charging Pumpelly – who started the race – to put in as many fast laps as possible on the hot Pirelli tires as the competition ran on freshly changed but cold tires. He answered the call giving Christensen a strong position to race to the checkered flag after the stop. Henzler closed the race for the No. 96 Pfaff machine giving Porsche a second 911 GT3 R in the top-three overall. Black Swan Racing drivers Timothy Pappas (Boston, Massachusetts) and Jeroen Bleekemolen earned a fourth-place finish in the Pro-Am category, tenth overall, in the No. 54 911 GT3 R.
The morning and afternoon races left little time for teams to make changes – or repairs if needed. This highlighted strategy as the closing driver of Race 1, opened Race 2. The early going saw the Nos. 24 and 96 continue their fight against one-another and the No. 61 Ferrari 488 GT3 of title contender Toni Villander (Finland) and Miguel Molina (Spain). The battle was heated but clean as they jockeyed first to chase down the Ferrari and the Bentley Continental GT3 of Alvaro Parente and Andy Soucek and each other for the final podium spot. Attempting to gain an edge, the Pfaff machine pitted immediately upon the opening of the pit window giving Hargrove the car from Henzler. The pit stop was performed with precision as Hargrove, a two-time IMSA Porsche Ultra 94 GT3 Cup Challenge Canada by Yokohama Champion, crossed the pit-out line with an elapsed pit stop time of 62.094-seconds. The legal minimum for a car to enter the pit lane, perform the driver and tire change and exit the pits was 62-seconds. The early stop would drop the machine entered by North America’s largest Porsche dealer to tenth-place. Hargrove would charge the car back up to fourth-place at the checkered flag to earn the “Hard Charger Award” for most positions gained in the race. Alegra pitted the No. 24 with 30-minutes remaining with Christensen handing the seat to Pumpelly. They ended the race in third-place, the fifth-consecutive podium for the No. 24. The Black Swan Porsche would again finish in fourth-place for the Pro-Am class, ninth-place overall. The season-long competition has continued to intensify since Hargrove won the two opening rounds of the championship at St. Petersburg, Florida in March. The Porsche Young Driver Academy graduate held the overall title chase before entering the Canadian Tire Motorsport Park rounds last week. While falling to second-place in the Driver Standings, Hargrove and Pfaff continue to lay pressure on the No. 61 Ferrari entered by R. Ferri Motorsport and driven by Villander. Christensen has also now entered the title conversation with four event weekends – eight total races – remaining in the combined Sprint and SprintX Championship. After the back-to-back race weekends, the Pirelli World Challenge will now take a month-long hiatus. 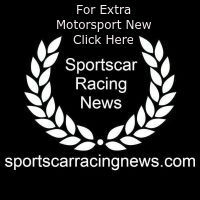 The Sprint Championship – single-driver, 50-minute races – returns on June 22 – 24 at Road America in Elkhart Lake, Wisconsin.